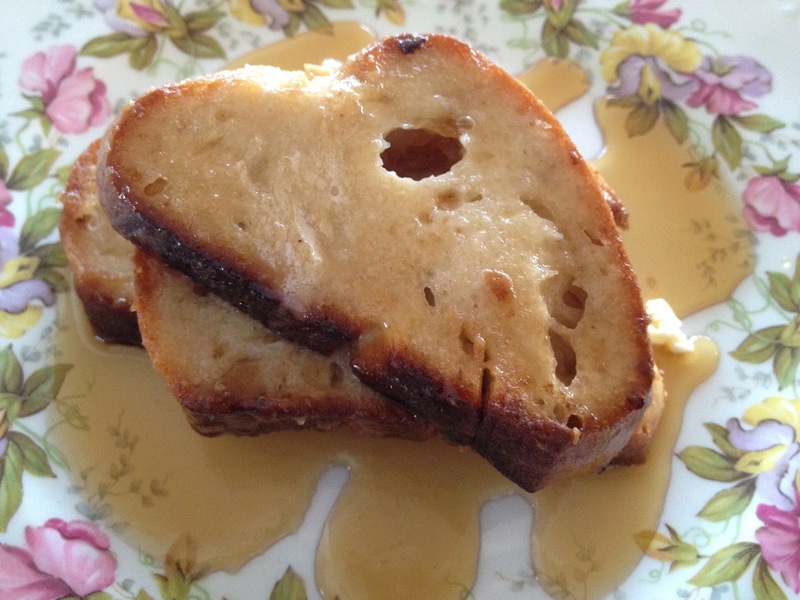 I love making French Toast with my homemade rustic bread. Until I came up with my own technique, I made it the Engine 2 way. Now, I make it my way which I like the best. Heat Earth Balance in a non-stick skillet and gently add the bread. When it gets crispy on the first side, flip it over and cook until the second side is crispy. Top with more Earth Balance and maple syrup. Enjoy!